I recently wrote three small screen savers for macOS. That was a ton of fun. There is something therapeutic about it. I am making them all available as open source. Let me know what you think. This one is an ode to the classic Mac. The Sad Mac would show up if it’s internal hardware test failed. 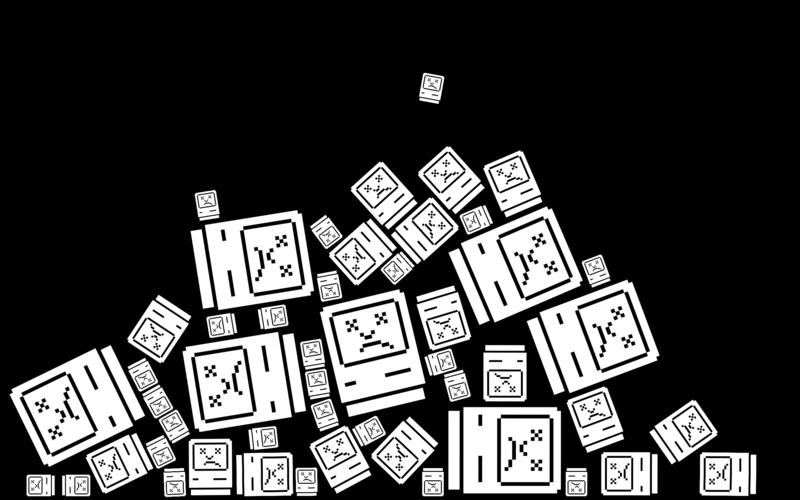 Like when you had a bad RAM chip. Code-wise it is a very basic screen saver actually. Just drop sprites on the floor and let them pile up. The thing that took some time was to get the physics parameters right to make it feel natural. The Sliding Puzzle from After Dark was probably my favorite back in the day. It just worked so well and smooth. And I think I specially loved the ones that messed with your actual screen. My re-implementation simply chops up a screenshot and then turns the pieces into SpriteKit nodes. Those can then easily be moved around. SpriteKit is pretty amazing. I have found it very simple to turn ideas into working prototypes. 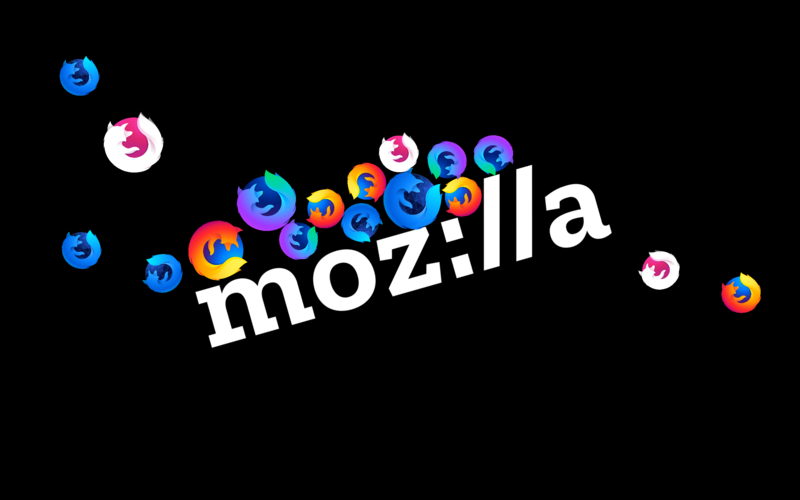 This one shows the new Mozilla logo and drops two sizes of Firefox (Focus/Nightly) icons on it. There is lots of bouncing and I spin the logo around if too many pile up. Since the logo is not a simple rectangular bounding box, I had to create an outline for the collission detection. I used a nice little web based tool that let me draw the path on top of the image and generated Objective-C code that. EWM Update: Let's Get Cookin'! 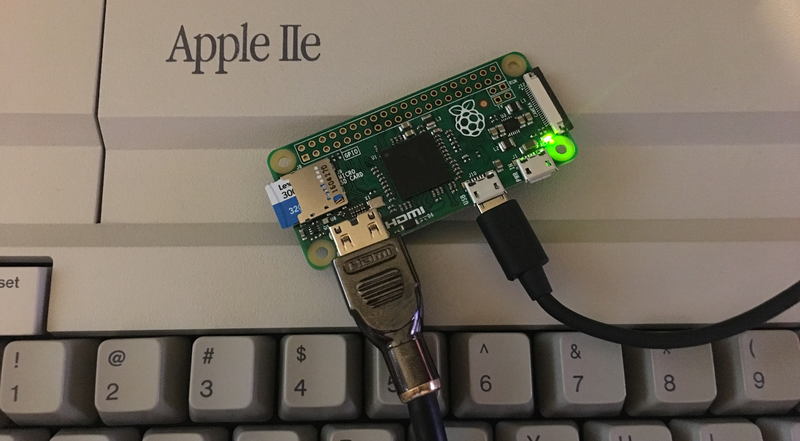 Building on top of the Lua integration work that I landed recently in EWM, my Apple ][+ emulator, here are two small improvements and a fun use case to show those off. First, I have added two callbacks that let you intercept key presses. Not emulated presses, but EWM application key downs and ups. This means that you can now trigger scripts by connecting them to a key combination. Combined, these two new features can be used to build little cheats for games. Let’s try to build one for BurgerTime. First let’s see if we can find where the game stores the number of chefs and pepper shots and see if we can modify those values. Easily spotted, the value at 0x66 changed from 0x05 to 0x04. Now every time you press Command-R, your lives and pepper shots are set to 7. We can take this one step further and simply make sure that the CUR_LIVES and CUR_SHOTS never changes at all. There are only a few instructions to store a value in the Zero Page, so with a little bit of trial and error it is pretty easy to find out that the values are set with an STA $66,X and STA $6A,X instructions. Now when the chef gets caught, the number of lives just stays the same. Same with the pepper shots. 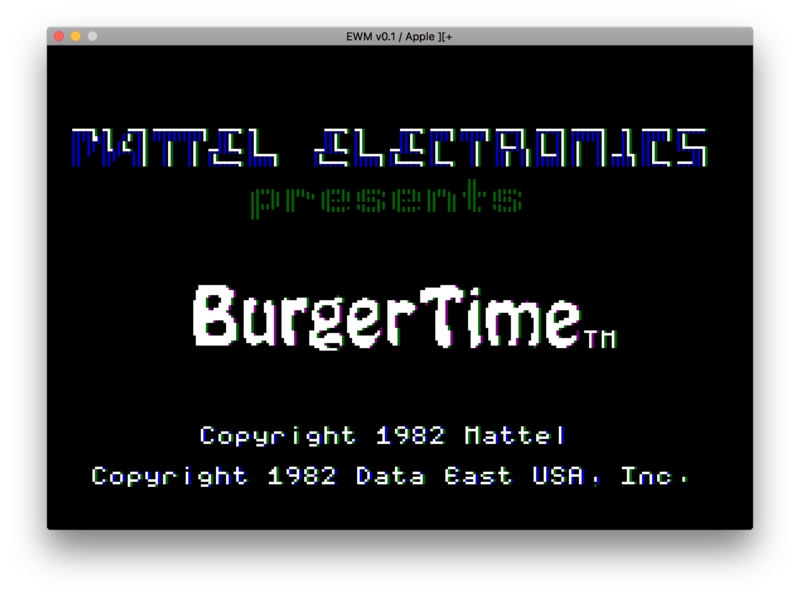 Note that we have not actually looked at the Burger Time code at all. We have just inspected memory and made a guess about how it changes those values. No disassembly required! 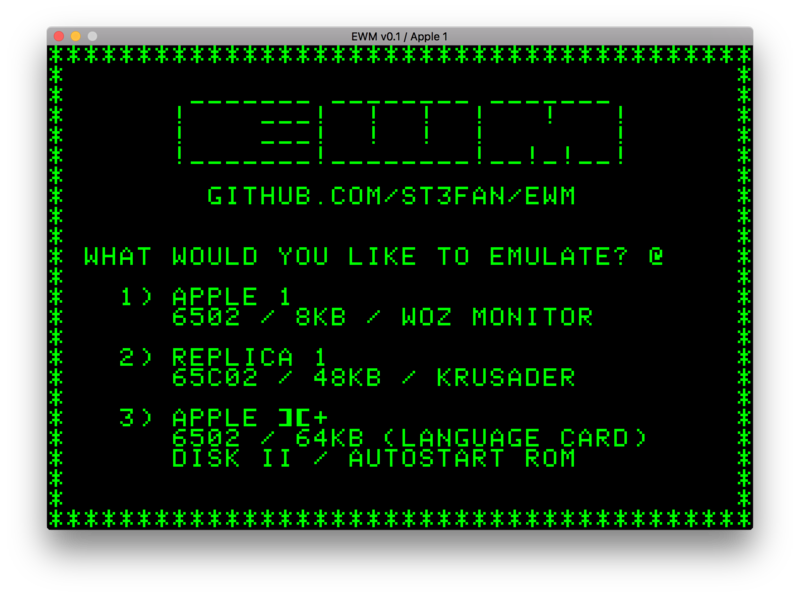 If you are interested in playing around with my emulator, you can find the project at github.com/st3fan/ewm. 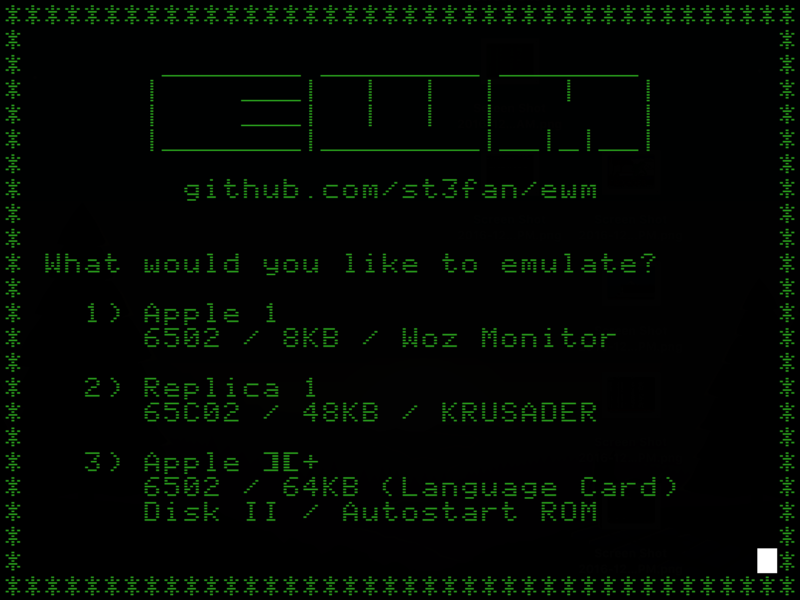 After an almost eight month interruption by mostly work and life in general, I am finally, and happily, back here writing about something new I added to EWM, my Apple II+ emulator. I always thought it would be interesting to integrate a scripting language in the emulator, so that you can write little (or big) hacks to modify the behaviour of not just the emulator but also the software it runs. Today I made a gentle start with that with Introduce Lua Support #148, which lays the foundation for Lua 5.2 support into EWM. For this release I have only implemented instruction interception; this means you can run a Lua function before or after a specific 6502/65C02 instruction is executed. That is not super exciting but it does open the door to some cool and simple hacks that were previously only possible by patching software the hard way. Now you can run a script on top of the original software without having to make persistent modifications. In later releases I am also going to make it possible to intercept reads and writes to memory, interact with EWM, and maybe even more specific things like callbacks for things that happen in the disk controller. Here is a small example function that uses the onAfterExecuteInstruction callback to change the keybindings for Frogger. -- key press was recorded. To clear this value, strobe $C010. I have filed some tickets under the lua tag for followup work. There is no support for a Character ROM that has lowercase so you have to be a little creative when you use the Github link in it. Or maybe I should make the link clickable? This is most likely how the Raspberry Pi edition of EWM will start. Which may actually be the first thing I release to the general public. I landed a little patch to optimize memory access to the first two pages of memory: the zero page and the stack. The struct cpu_t now keeps pointers to the memory areas where these pages are kept, so operations on them can access the memory directly instead of going through the memory abstraction. That is a pretty big jump in unthrottled CPU speed. I think this patch, together with the Software Renderer that I still have in progress will make EWM run pretty well on the Raspberry Pi Zero. Here is an overview of some small improvements I made this week. It has been hard to find quality time to work on this project so I am not going as fast as during the Christmas break. 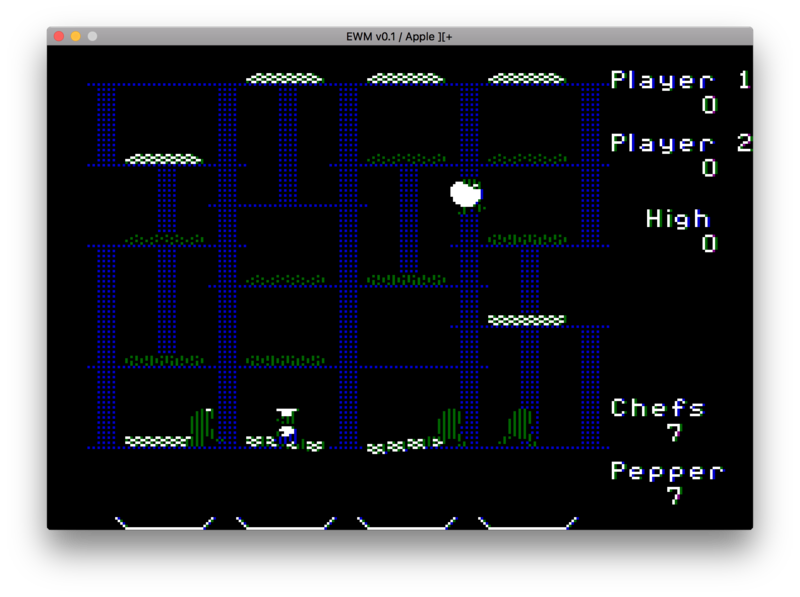 The Apple 1 emulation in EWM now blinks the cursor. I did not know that it blinked until I saw some videos on YouTube. I probably got the frequency wrong. 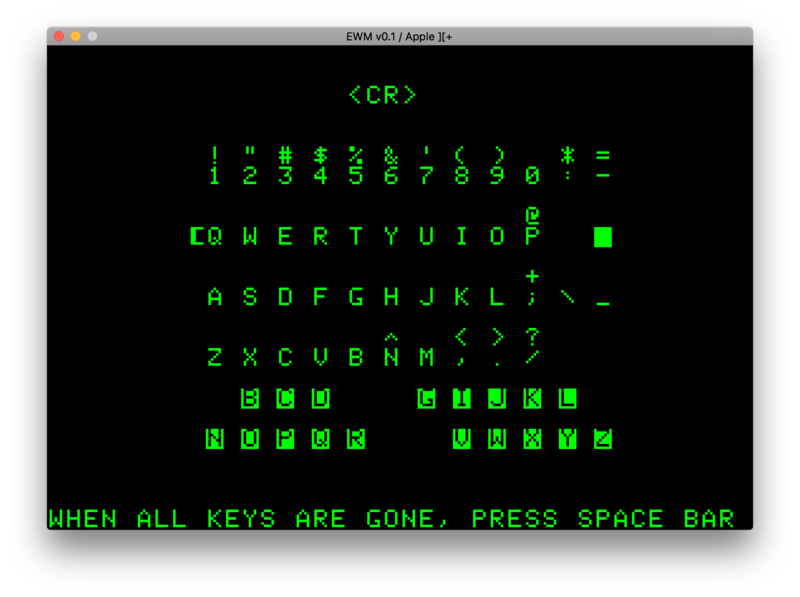 In the Apple ][+ emulation, I now properly support Control-A to Control-Z. I tested this with the Apple II+ Dealer Diagnostics disk, which has a keyboard hardware test program. There is no date on it, but it is probably 1978 or so. EWM can now load disk images in the .nib format. This is a format that does not just contain a dump of the track and sector data. Instead it has the raw encoded disk contents. It turned out that is the exact same internal format that EWM uses for the disk emulation code, so this was a pretty simple thing to do. It has been difficult to find the time to hack on EWM since I went back to work. Busy busy. But I did manage to make some small improvements to better support the Raspberry Pi Zero. The Raspberry Pi Zero is a tiny single board computer with a 1 GHz single-core ARMv6 CPU, 512MB RAM and HDMI and USB connections. They are cheap, around $7 CAD plus shipping, and are capable of running Linux. Sounds ideal for an emulator. But how fast are they? So about 10x the speed of an Apple ][+. Not bad, considering I have spent zero time optimizing the CPU emulation so far. And it is all written in simple portable C without crazy tricks. Graphics is more interesting. The Pi Zero has no hardware accelerated graphics, at least not supported in Linux, so I have been working on a pure software renderer for text, lores and hires screen. It does not depend on OpenGL and just blits pixels to screen buffers. The default scheduler in EWM is set to 30 FPS, which means one timeslot in the ‘scheduler’ is 33 milliseconds. Of those we will need about 5 milliseconds for executing enough CPU instructions and another 5 for random stuff that happens in the event loop. That leaves just about enough time for a full screen refresh. But it is a bit tight and I’ll be working on getting those numbers down. It will be better if all modes render in at most 20 milliseconds or so. 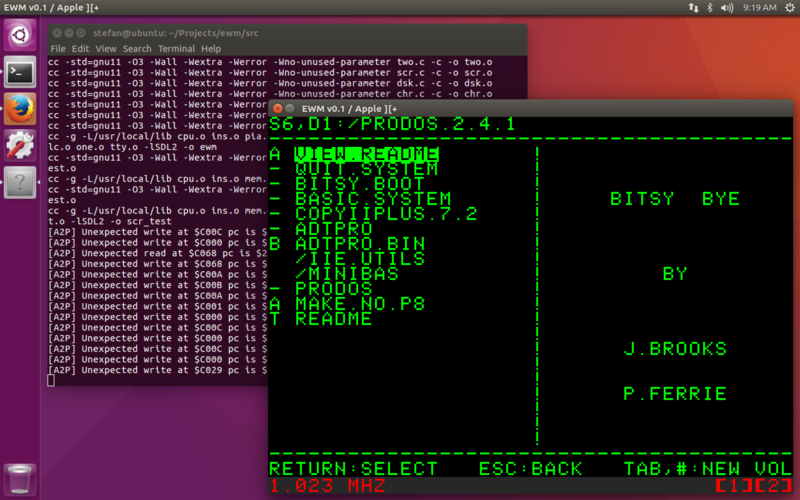 Emulated Woz Machine, my Apple 1 / Apple ][+ emulator now runs succesfully on Linux. Here is a screenshot of it running on Ubuntu 16.04.1. This was not very difficult to get going. 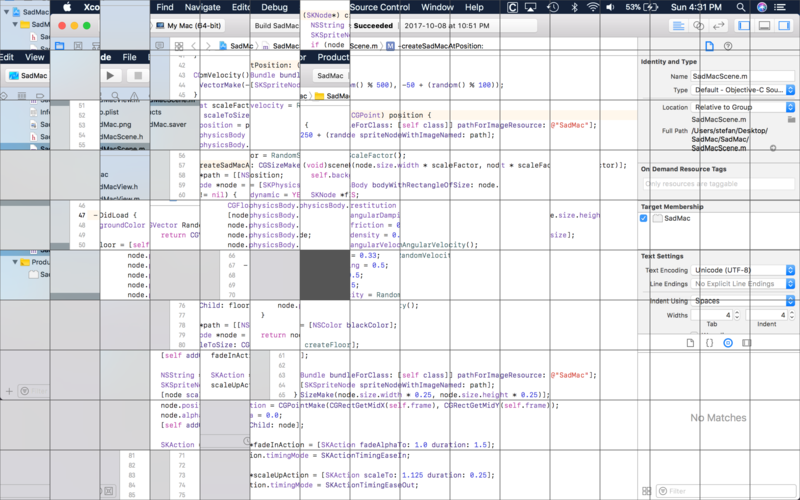 Using SDL 2.0 to abstract everything screen, keyboard and event loop related was a good call. I wrote this emulator in portable C, using just SDL and POSIX APIs. There were just a few small compilation issues that I had to fix. Mostly differences between Clang and GCC. This is useful, but I think there is probably a more common case where people start the emulator by double clicking or tapping an app icon or maybe even auto-boot it on a Raspberry Pi.